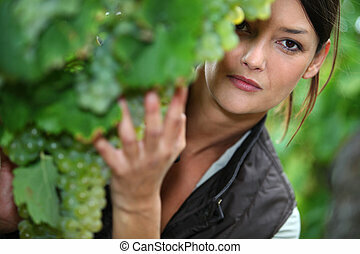 Checking the grapes. 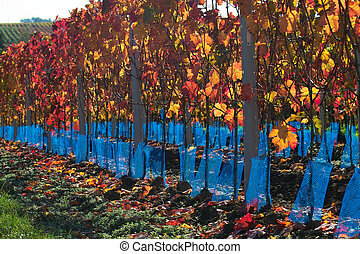 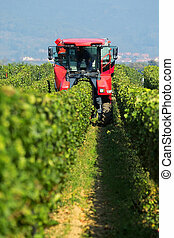 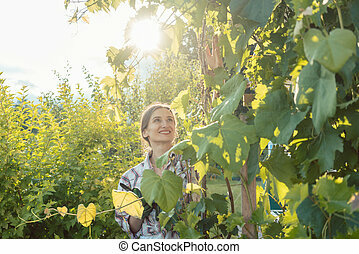 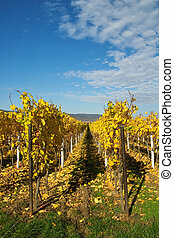 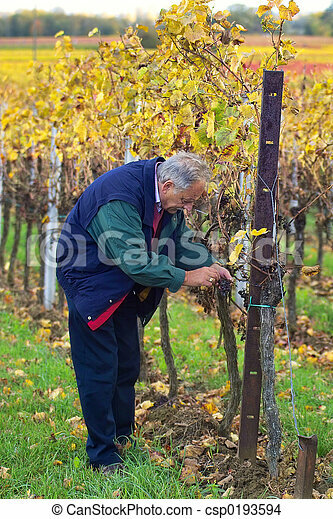 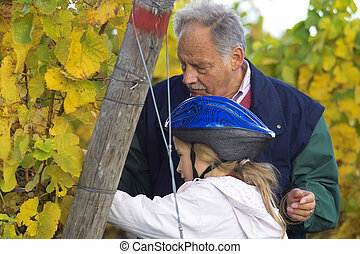 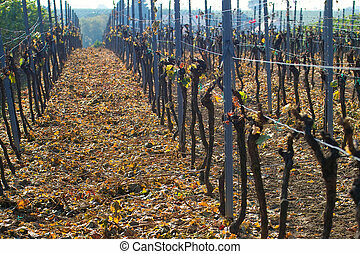 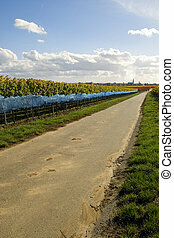 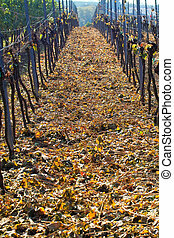 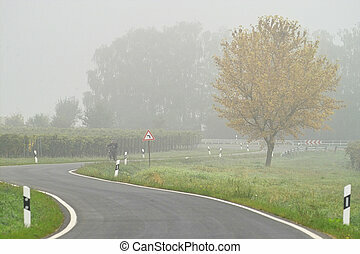 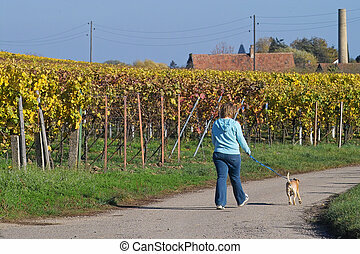 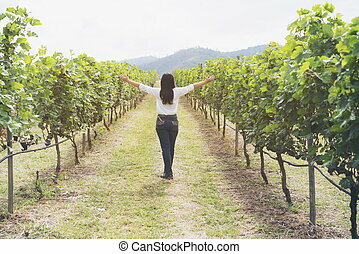 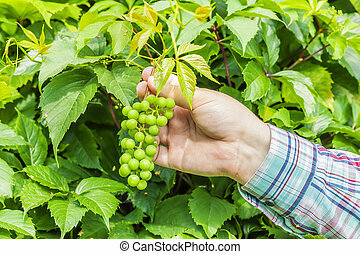 Mature winemaker checking the rows of wine grapes. 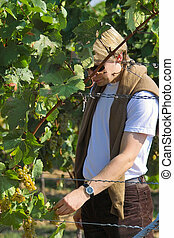 Vineyard worker checking grapes quality in vineyard. 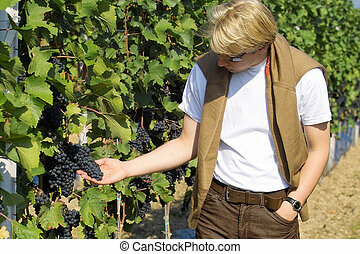 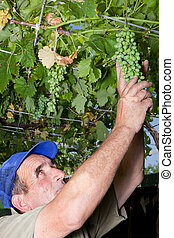 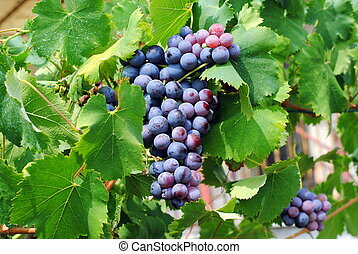 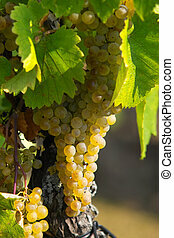 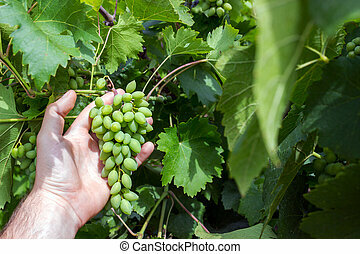 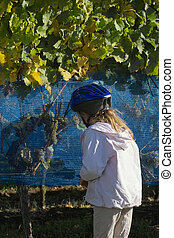 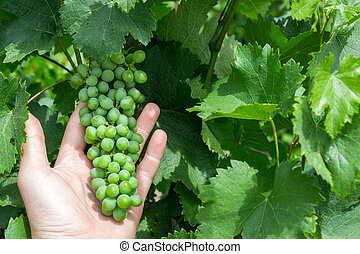 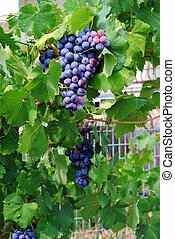 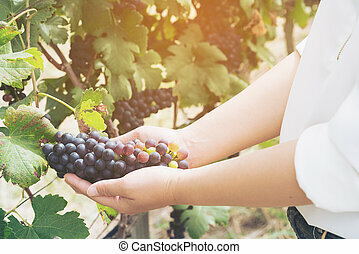 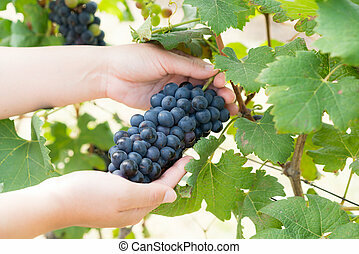 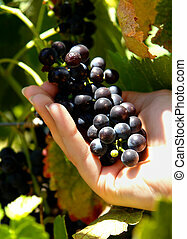 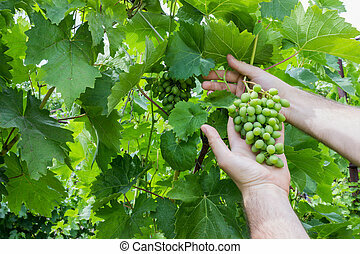 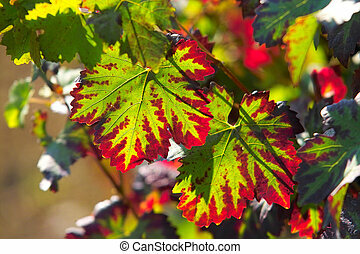 Winemaker checks the harvest of grapes. 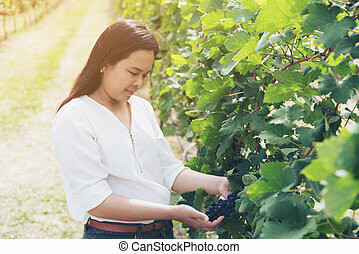 Vineyard woman worker checking wine grapes in the vineyard. 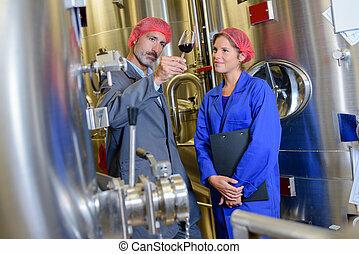 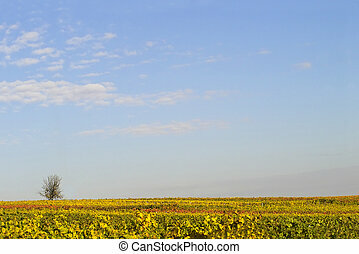 Winery, winemaker concept.